Supreme Care, exclusive treatments, enriched with precious caviar extract that helps give skin new vitality and radiance, thanks to its regenerating properties. 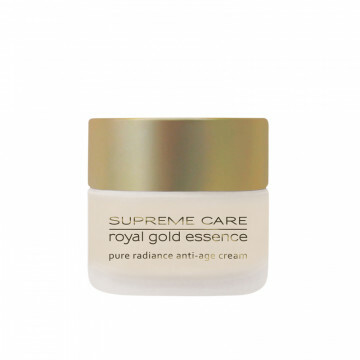 Royal gold essence, the day and night treatment created to fight ageing and restore glow in one step. 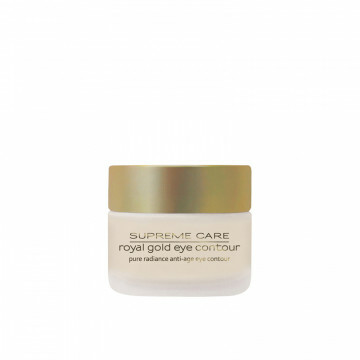 Royal gold eye contour, designed for those who need a treatment to brighten the skin around the eyes for a visibly radiant and youthful look. Royal gold serum, intensive and concentrated, helps improve skin compactness, promoting a progressive renewing, restorative effect. Royal gold foundation SPF20 is a foundation that perfects the complexion and enhances the skin’s glow in synergy with Supreme Care treatments.